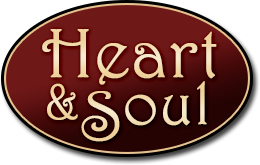 Heart & Soul has maintained a five star standard over the years through excellent service, food, hospitality, and YOUR REVIEWS. We really put our heart and soul into treating you for your special occasion. We would not have been awarded Tripadvisors certificate of Excellence if it were not for your kind words and ratings. Please leave us a review through our personal contact form or on social media so we can hear how your experience with us or how we can improve our services for the future.